Irarsite: Mineral information, data and localities. The name reflects its composition: iridium, arsenic and sulfur. The related minerals osarsite, ruarsite, and platarsite are similarly named. See also Unnamed (Ir Arsenide Sulphide). Genkin, A.D., Zhuravlev, N.N., Troneva, N.V., Murav'eva (1966) Irarsite, a new sulfoarsenide of iridium, ruthenium, and plantinum. Zapiski Vsesoyuznogo Mineralogicheskogo Obshchestva: 95(6): 700-712. Hollingworthite 3 photos of Irarsite associated with Hollingworthite on mindat.org. Laurite 3 photos of Irarsite associated with Laurite on mindat.org. Spinel 3 photos of Irarsite associated with Spinel on mindat.org. Sperrylite 2 photos of Irarsite associated with Sperrylite on mindat.org. Isoferroplatinum 1 photo of Irarsite associated with Isoferroplatinum on mindat.org. Inaglyite 1 photo of Irarsite associated with Inaglyite on mindat.org. Clinochlore 1 photo of Irarsite associated with Clinochlore on mindat.org. Pyrite 1 photo of Irarsite associated with Pyrite on mindat.org. Pentlandite 1 photo of Irarsite associated with Pentlandite on mindat.org. Fleischer, M. (1967) New mineral names. American Mineralogist: 52: 1579-1589. Fleischer, M. (1969) New mineral names. American Mineralogist: 54: 326-330. Tarkian, M., Prichard, H.M. (1987) Irarsite-hollingworthite solid-solution series and other associated Ru-, Os-, Ir-, and Rh-bearing PGM's from the Shetland ophiolite complex. Mineralium Deposita: 22: 178-184.
ⓘ Santa Elena ultramafic Nappe ? Gervilla, F., Proenza, J. A., Frei, R., González-Jiménez, J. M., Garrido, C. J., Melgarejo, J. C., ... & Lavaut, W. (2005). Distribution of platinum-group elements and Os isotopes in chromite ores from Mayarí-Baracoa Ophiolitic Belt (eastern Cuba). Contributions to Mineralogy and Petrology, 150(6), 589-607. Jan Pasava (ed) Mineral Deposits: From Their Origin to Their Environmental Impacts pp89-92; Auge, T., & Maurizot, P. (1995). Stratiform and alluvial platinum mineralization in New Caledonia ophiolite complex. The Canadian Mineralogist, 33(5), 1023-1045. Mineralogical Magazine 1997 61 : 902-906; Prichard, H. M., Mondal, S. K., Mukherjee, R., Fisher, P. C., & Giles, N. (2018). Geochemistry and mineralogy of Pd in the magnetitite layer within the upper gabbro of the Mesoarchean Nuasahi Massif (Orissa, India). Mineralium Deposita, 53(4), 547-564. Urashima et al (1982) Reports of the Faculty of Science, Kagoshima University, 31, 129-140. Bull. Soc. Franç. Minéralo. Cristallo. , 1974, 97, pp. 510. [AmMin 84:195]; Barkov, A. Y., Tolstykh, N. D., Shvedov, G. I., & Martin, R. F. (2018). Ophiolite-related associations of platinum-group minerals at Rudnaya, western Sayans, and Miass, southern Urals, Russia. Mineralogical Magazine, 1-32. Rudashevskiy, N.S., Mochalov, A.G., Trubkin, N.V., Shumskaya, N.I., Shkurskiy, V.I., Evstigneeva, T.L. [Рудашевский Н.С, Мочалов А.Г., Трубкин Н.В., Шумская Н.И., Шкурский В.И., Евстигнеева Т.Л.] (1985) Cherepanovite, RhAs, a new mineral [Черепановит RhAs-новый минерал]. Zapiski Vsesoyuznogo Mineralogicheskogo Obshchestva [Записки ВМО], 114, 4, 464-468 (in Russian); Pekov, I.V. (1998) Minerals first discovered on the territory of the former Soviet Union. Ocean Picture, Moscow, 369 pp. A. Yu. Barkov et al. , Eur. J. Mineral. , 1996, 8, pp. 311-316.; Barkov, A. Y., Martin, R. F., Tarkian, M., Poirier, G., & Thibault, Y. (2001). Pd–Ag Tellurides from a Cl-rich environment in the Lukkulaisvaara layered intrusion, northern Russian Karelia. The Canadian Mineralogist, 39(2), 639-653. Kojonen, K., Zaccarini, F., & Garuti, G. (2003, April). First finding of native gold in the chromitites of the Ray-Iz ophiolitic complex, Polar Urals. In EGS-AGU-EUG Joint Assembly (Vol. 1, p. 8352). ; Shmelev V.R., Perevozchikov B.V., Moloshag V.P. (2014) The Rai-Iz ophiolite massif in the Polar Urals: geology and chromite deposits. Field trip guidebook. 12th International Platinum Symposium. Yekaterinburg: IGG UB RAS, 2014. 44 р.
Anthony, Bideaux, Bladh, Nichols: "Handbook of Mineralogy", Vol. 1, 1990; Cabrii, L. J., & Feather, C. E. (1975). Platinum-Iron Alloys: A Nomenclature Based on a Study of Natural and Synthetic Alloys. Canadian Mineralogist, 13, 117-126. N. Jb. Mineral. 185 (2009) 323-333; Uysal, İ., Tarkian, M., Sadiklar, M. B., Zaccarini, F., Meisel, T., Garuti, G., & Heidrich, S. (2009). 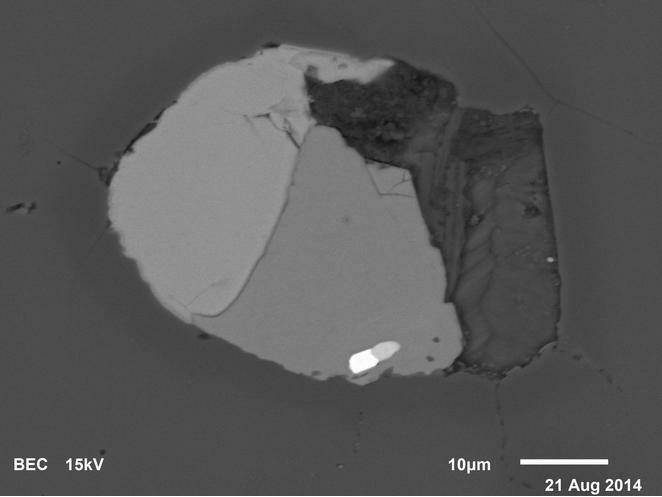 Petrology of Al-and Cr-rich ophiolitic chromitites from the Muğla, SW Turkey: implications from composition of chromite, solid inclusions of platinum-group mineral, silicate, and base-metal mineral, and Os-isotope geochemistry. Contributions to Mineralogy and Petrology, 158(5), 659-674. Anthony, Bideaux, Bladh, Nichols: "Handbook of Mineralogy", Vol. 1, 1990; A G Gunn, R C Leake and M T Styles (1985) Platinum-group element mineralisation in the Unst ophiolite, Shetland British Geological Survey Mineral Reconnaissance report 73; Prichard, H. M., & Tarkian, M. (1988). Platinum and palladium minerals from two PGE-rich localities in the Shetland ophiolite complex. The Canadian Mineralogist, 26(4), 979-990. Snetsinger, K.G. (1972) Osarsite, a new osmium-ruthenium sulfarsenide from California. American Mineralogist: 57: 1029; Pemberton, H. Earl (1983), Minerals of California; Van Nostrand Reinholt Press: 63. Sjoberg, J. and Gomes, J.M. (1980) Platinum-group minerals in California alluvial deposits. US Bureau of Mines, Reno Research Center, unpublished manuscript: 15, figure 1; Pemberton, H. Earl (1983), Minerals of California; Van Nostrand Reinholt Press: 64. Allan H. Wilson and Martin D. Prendergast (2001) Platinum-Group Element Mineralisation in the Great Dyke, Zimbabwe, and its Relationship to Magma Evolution and Magma Chamber Structure. 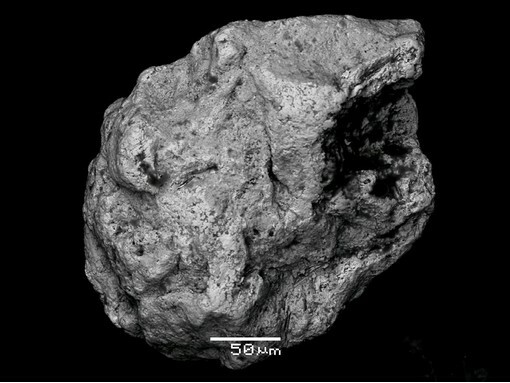 South African Journal of Geology, 104:319-342; LIU, J., JIN, S. and WANG, Y. 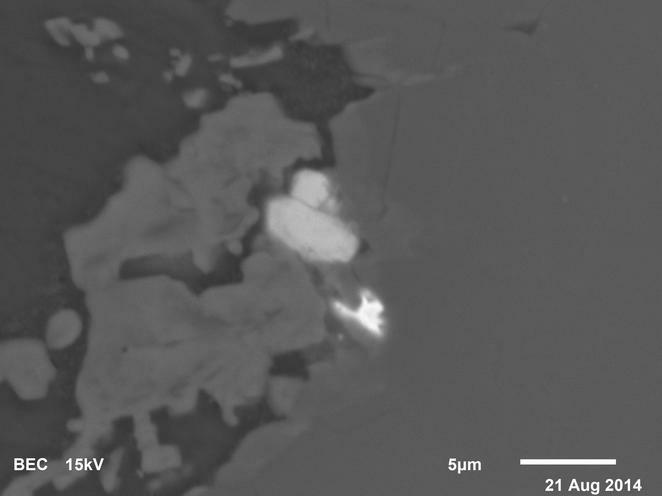 (2014), The Occurrence of Useful Components in Platinum-Palladium Deposit in the Great Dyke, Zimbabwe. Acta Geologica Sinica, 88: 1466–1467; Oberthür, T., Weiser, T. W., Gast, L., & Kojonen, K. (2003). Geochemistry and mineralogy of platinum-group elements at Hartley Platinum Mine, Zimbabwe. Mineralium Deposita, 38(3), 327-343.